It’s no big secret we love muffins around here. 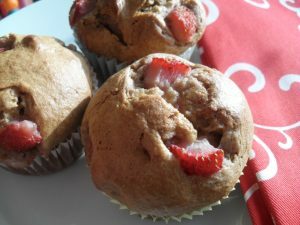 I like to make big batches of muffins to have in the freezer for quick breakfasts and to send along as snacks for mid-day. They make a good after school treat and in a pinch (and a little frosting) they can make a respectable cupcake stand in for those last minute parties. I prefer my muffins to not be too sweet. After all, it is NOT a cupcake, and it is the start of the day. Muffins are a great vehicle to add some veggies and extra protein in a cute package for those picky eaters out there. Have a favorite quick bread your family likes? Divide it up into muffin cups and you are all set for busy school mornings. Ginger Lemon Girl has several yummy muffins including Banana Spice, Blueberry, Carob Banana, Cinnamon Bun, Dark Chocolate, Orange Cinnamon, and, yes, a Ginger Lemon Muffin. 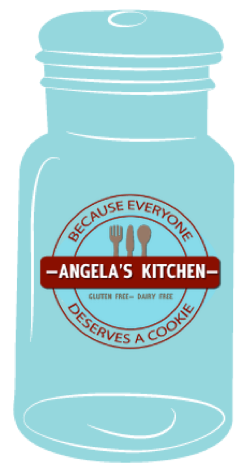 She also has a Master Baking Mix to make whipping up a batch of muffins even easier! Gluten Free Goddess offers up a wide variety, including Cranberry Apricot, Pear Polenta, Sweet Potato Cornbread and Quinoa Breakfast Cake. Woo-hoo! Simply Sugar and Gluten Free has Autumn Spice Pumpkin Muffins, Orange Quinoa Muffins with Currants, and Carrot Date Spice Muffins and a variety of scones and biscuits. Yum! Spunky Coconut’s tasty muffin recipes include Blueberry Nut & Seed, Light Airy Chocolate Chip, Quinoa Almond and Cherry Banana Muffins.